When I saw initial swatches of this, I knew it wouldn't be anything for me - as you said, it's kinda an odd color on the skin. I like how pretty it is in the pan though! Oh no you don't, Xiao! 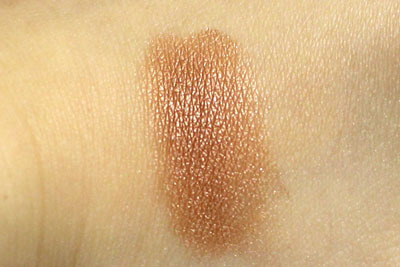 I swatched this on the back of my hand the other day, and honestly with this kind of intense pigmentation it'd be much better off markted/used as an eyeshadow! I have no idea how not to overuse this on my face! 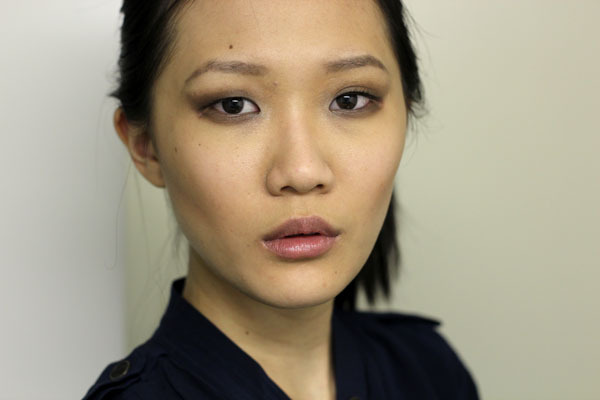 I don't 'get' this EL powder gelees either - they seem too pigmented and frosty for the cheeks! I think the eye one is a winner though! I love this product... definitely a win from EL! 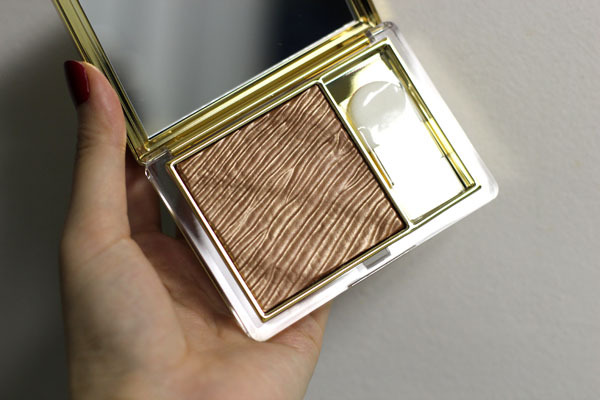 This is much more impressive in the compact than it is on my skin. I do love the eyeshadow palette, however, and find it stays quite metallic/shiny even when applied with my eyeshadow brushes (it does not have an odd scent either) so I wonder if you got a dud? I appreciate your candid review :). I do find this wears quite nicely on my darker skin, but in these photos it certainly doesn't look bad on you either! I think it just gives you a different look than you may normally wear. It's a bit of a tricky product though even still, and I haven't been wearing mine as much as I should. I don't know what it is that turns me off a bit...? This is really gorgeous on you. Ahhh oh my goodness, you look absolutely STUNNING with those dark eyes and contoured cheeks and your hair up. Drop dead gorgeous, I tell you! It looked so nice in the pan but on my skin turned orange brown. Definitely not for me but the first gelee that I bought I do love.